James McMaster at McMaster Yachts tells me he's joined forces with Toby Walker at Dubois Yachts to list the 39m sailing yacht Ganesha for sale. Built at Fitzroy Yachts in New Zealand and launched in April 2006, This Dubois-designed sloop has four guest staterooms. Ganesha has been immaculately maintained and has earned a formidable reputation on the regatta circuit. 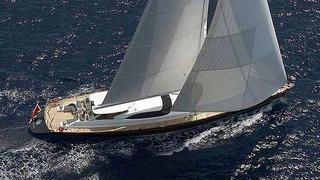 In fact, she took first place in the cruising division at the 2012 Loro Piana Superyacht Regatta in Sardinia. Available to view at the Monaco Yacht Show, Ganesha is asking €13.75 million.